Ravi Shankar, the sitar master who helped popularize Indian music in the 1960s, influencing hippie culture and musicians from the Beatles and the Grateful Dead to John Coltrane, has died, the prime minister's office of India confirmed to the Associated Press. According to the Times of India, Shankar passed away in a San Diego hospital, where he had been in treatment since last week after complaining of difficulty breathing. He was 92 years old. 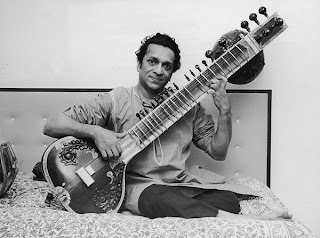 Dubbed the Godfather of World Music by his most famous student, George Harrison, Shankar learned to play several Indian classical instruments in his teens and began touring abroad in the 1950s, introducing Indian ragas to audiences in Europe and the U.S. Shankar met Harrison in 1966 at a friend's house, where the Beatle approached him about learning to play the sitar after he'd used one on "Norwegian Wood (This Bird Has Flown)." Under Shankar's tutelage, Harrison became proficient in the instrument and played it on the Sgt. Pepper's Lonely Hearts Club Band song "Within You Without You," further igniting interest in ragas and Shankar's work among Beatles fans. "When George became my student, I got a new audience: the younger generation," Shankar told Rolling Stone in 1997. "And, of course, they came like a flood because the whole thing happened with the hippie movement and this interest in Indian culture. Unfortunately it got all mixed up with drugs and Kamasutra and all that. I was like a rock star . . . I never said one shouldn't take drugs or drink alcohol, but associating drugs with our music and culture, that's something I always fought. I was telling them to come without being high on drugs. I said, 'Give me the chance to make you high through out music,' which it does, really. I think it's good I made that stand, and that's why I'm still here today." Shankar was also a teacher to jazz icon John Coltrane, who was so influenced by the musician that he named his own son Ravi. As his popularity rose, Shankar performed at the Monterey Pop Festival in 1967 and Woodstock two years later. In 1971, Shankar and Harrison organized the Concert for Bangladesh, which helped raise money for refugees fleeing that country for India and set the example for future all-star benefits like Live Aid. 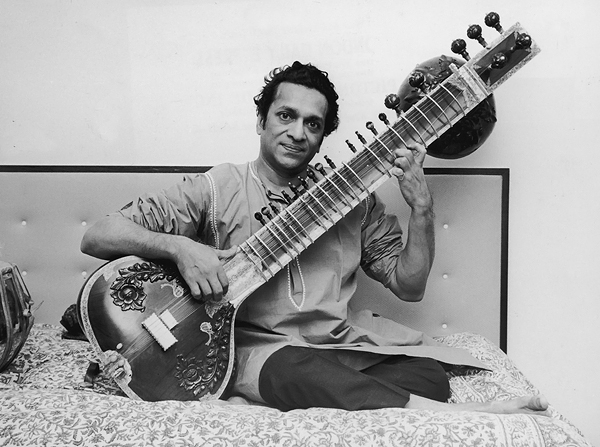 A three-time Grammy winner, Shankar continued to tour into the 2000s with his daughter Anoushka, also a sitar player. He is also the father of singer-songwriter Norah Jones.